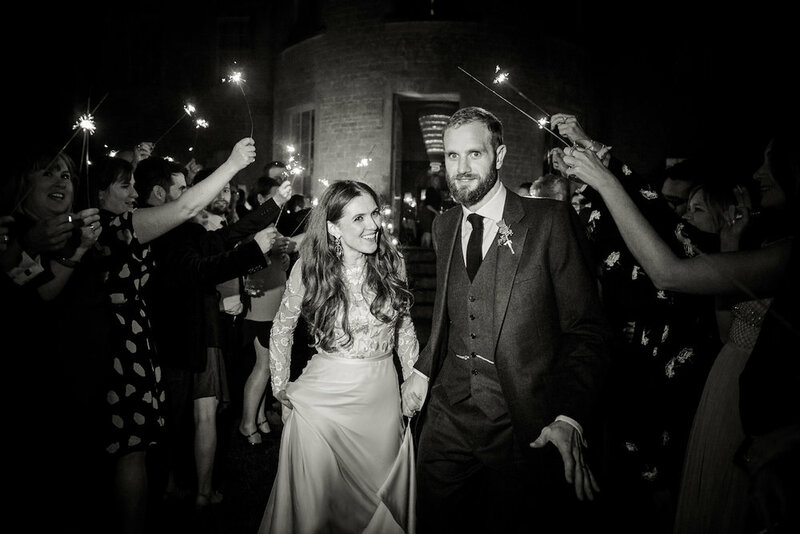 Gorgeous bride Laura married the love of her life last October at Babington House, a stunning country house in the depths of the Somerset countryside. 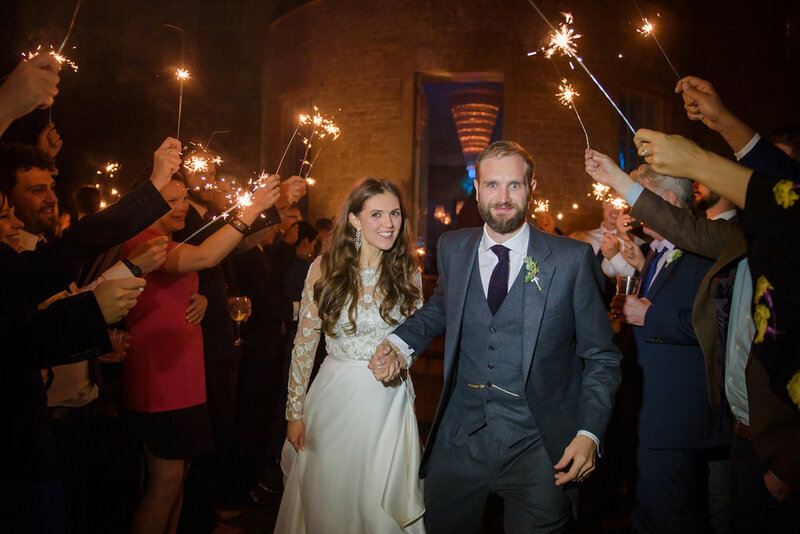 The couple wanted the wedding to be as elegant, timeless and classic as possible with emphasis on their guests having as much fun as possible. 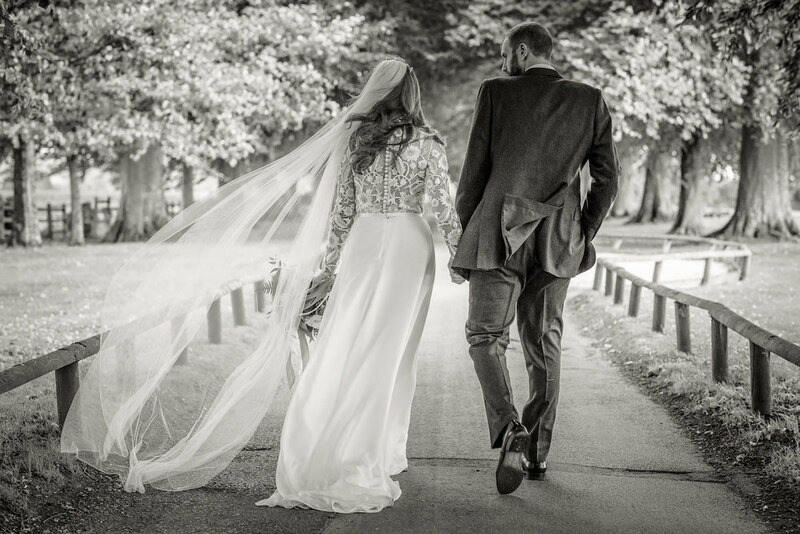 "To be honest, I found wedding dress shopping quite a confusing experience. I didn’t have a clear idea of exactly what type of wedding dress I wanted, all I knew was that I didn’t want anything too traditional, something a bit different but still classic. I booked appointments at a few designers that I liked and tried on quite a few dresses and styles but ended up completely confused! Halfpenny London was actually the first appointment I had. I had been admiring the beautiful dresses online for quite a while. 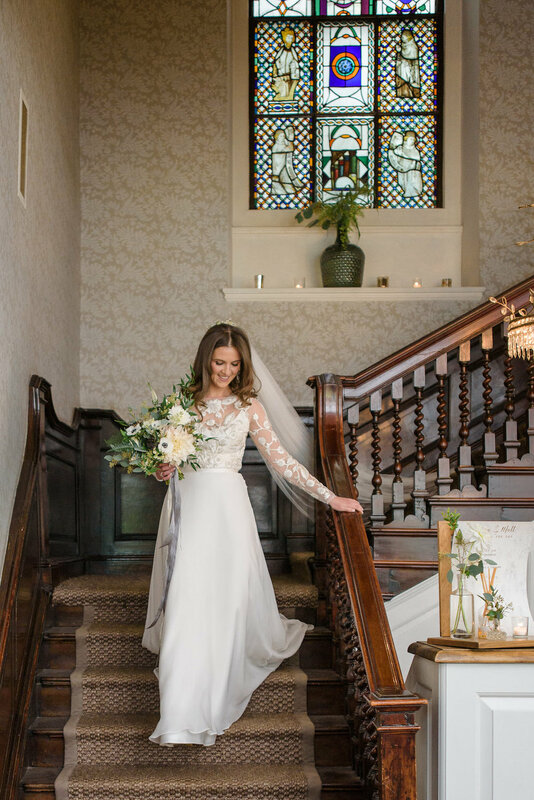 Although I didn’t find my dream dress in that first appointment, Alexia at Halfpenny was so helpful and really guided me on the type of dress that would best suit my figure. I went to a number of other designers after that and tried on quite a few dresses and styles but ended up completely confused!" 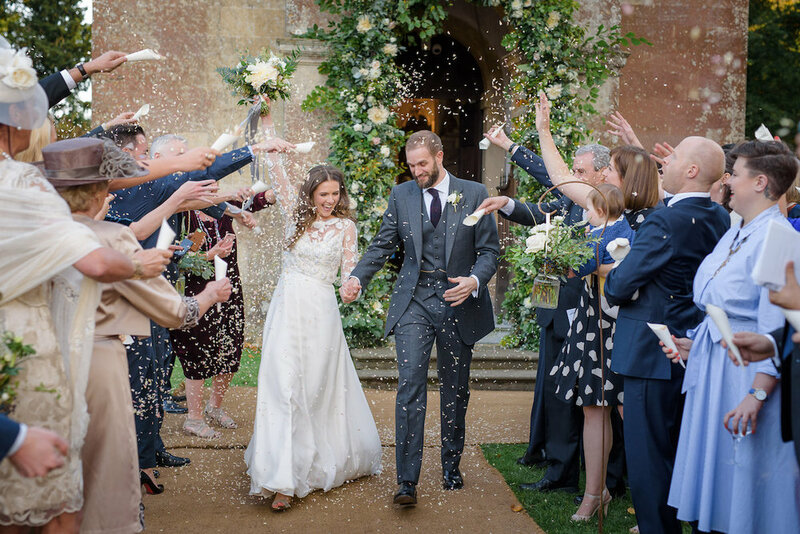 "After starting to despair that I would never find my dream dress, the Halfpenny Sylvie dress popped up on my Instagram feed. I hadn’t tried the Sylvie dress at my first appointment so I decided to nip into the boutique one morning before work and just try on that one dress and that was it! I remember being really quite shocked about how much I loved the dress and everything just seemed to work. I then brought back various family members / friends to see the dress and Alexia at Halfpenny was so helpful, nothing was ever too much trouble. 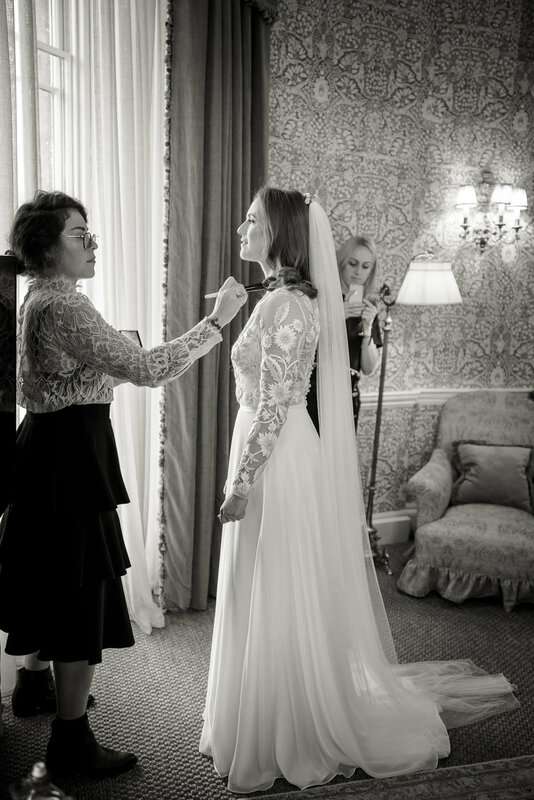 In one of my appointments I had the pleasure of meeting Kate which was such a treat!" 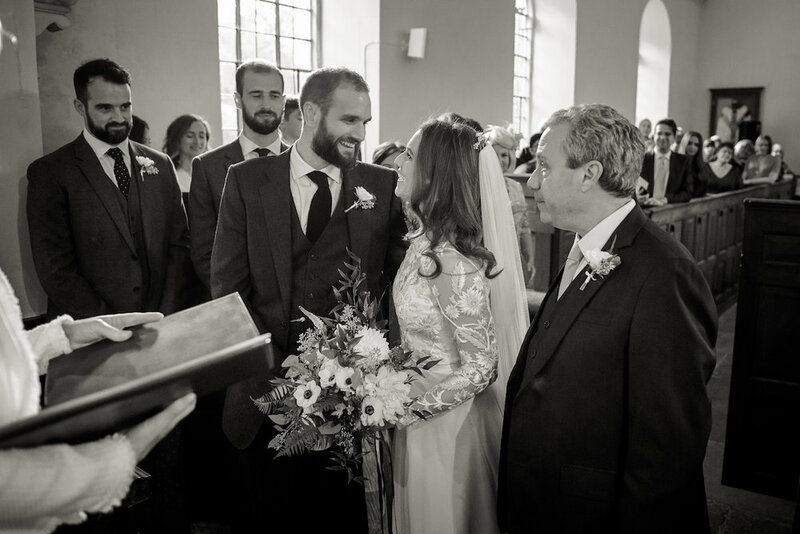 Some of you may know that the Sylvie dress has a special place in my heart because it's named after my beautiful son, Sylvester, and Laura was the very first bride to wear it on her big day! "I knew that I wanted a dress that was a bit different, not too "bridal" but also something that was beautiful and wouldn't date. All the Halfpenny dresses are so timeless but modern and I felt like I could really relate to the brand. I love embroidery and when I saw the Sylvie dress online, I just had to try it. I think I tried the dress on about 5 times (just to check!) and every time it was the same feeling… I just loved wearing the dress. I adored the detail of the dress, the exquisite embroidery on the top and the flowing silk skirt - I hadn’t seen anything like it before. 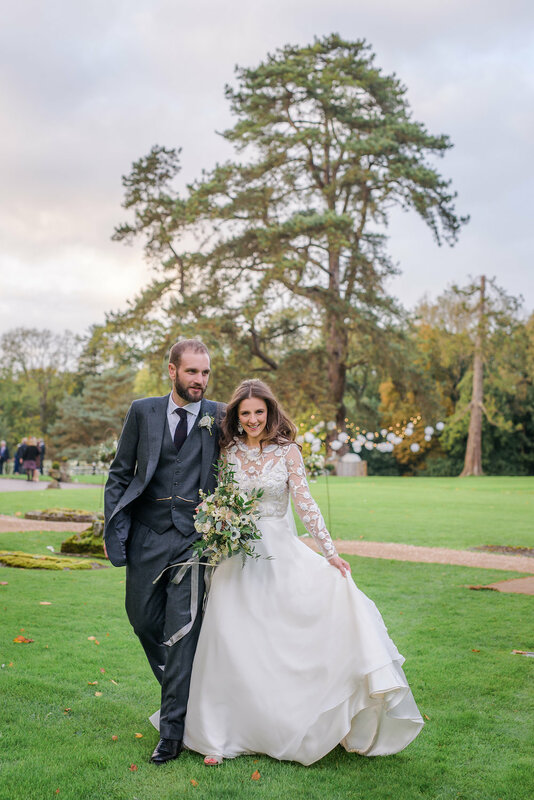 Knowing that I was the first Halfpenny bride to wear the Sylvie dress also felt so special - like it was made for me! In my final appointment when I really didn’t want to take the dress off, I knew I had made the right decision! I can't thank all the girls at Halfpenny London enough. I loved every minute of my appointments, they were so personal and magical and I was actually very sad when the whole experience was over!" Laura... you were a dream to work with and seeing your pictures and reading your lovely words brought a tear to my eye. Thank you for choosing us to be a part of your special day.